Don't miss this home! 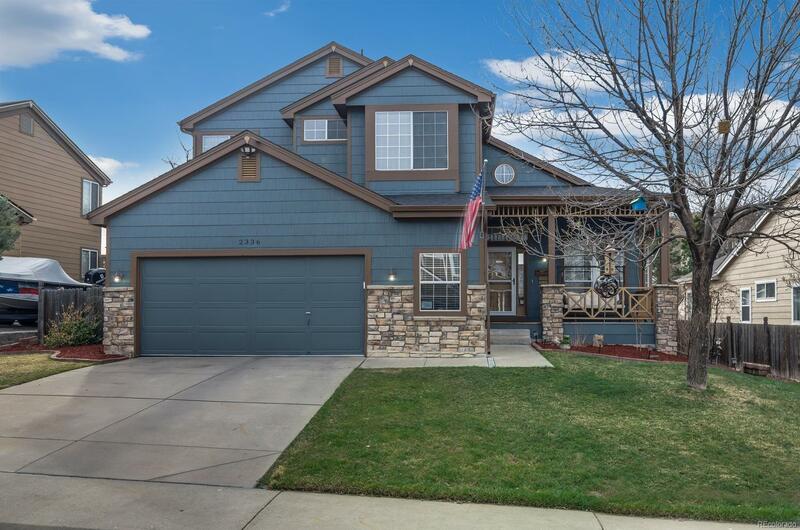 Close to I25 and no HOA fees. Great neighborhood that feels like you live in an HOA, but not! Professionally landscaped front yard with easy maintenance. Once you are inside, you're going to love this home. Finished basement with multi-functional space for everyone to do their thing including bedroom, full bath, and radon mitigation installed. Kitchen is open to the family room, breakfast nook, and main floor den/study that can be a 5th bedroom if needed. Laundry on the main, off the garage. Upstairs you wonât want to miss the extra-large Master Suite with private balcony with views of Pikes Peak through the bay window, plus two bedrooms with Jack and Jill bath. Garage is over sized and comes with the pegboard shelving. Alexa Ecobee thermostat. Water heater installed fall of 2018. Roof and exterior paint is about 3 years old. Seller is offering a $3K carpet allowance.